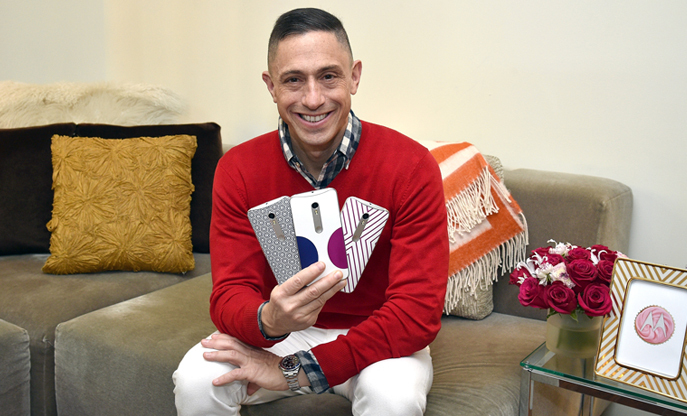 In a blog post yesterday, Motorola announced that an all new Moto X Pure collection designed by the New York-based designer Jonathan Adler will go on sale early next month - on December 3. The limited-edition collection consists of "three eye-catching, stylish phones that Jonathan felt captured the spirit of Moto Maker, our online phone design studio," the company said. The phones - each carrying a price tag of $474.99 (32GB) - will be up for pre-order starting November 24 at Motorola.com/JonathanAdler. If you're a Jonathan Adler fan, it's worth mentioning that the designer also shared his top holiday gifting tips, which you can access by heading to the Source link below.